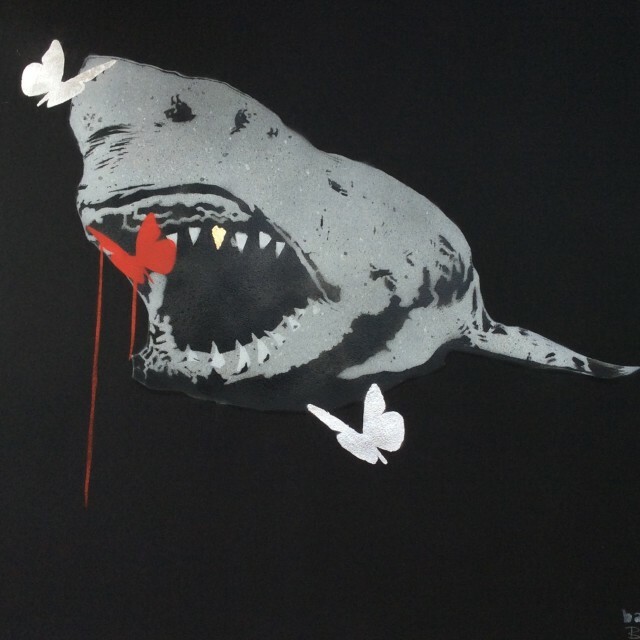 BAMBI is a London based street artist who has taken her stencil and spray painted street art into the walls of Joseph Fine Art, London, along with other galleries in Europe and the USA. It has been reported that works by BAMBI have been acquired for the private collections of her music industry peers and other celebrities... clearly we can neither confirm or deny! BAMBI's street works can be seen throughout London in such areas as Seven Dials, Shoreditch, Primrose Hill, Angel and Camden and are regularly viewed as part of the street art tours of London. She has created such street icons as 'Be As Naughty As You Want' (Princess Diana / Mary Poppins), Amy Winehouse and Lie Lie Land which attracted worldwide Press coverage. Joseph Fine Art has been working directly with Bambi Street Artist since the beginning of 2016 and has been offering her works to collectors since 2011. All works created by Bambi since 2016 have a COA and unique DNA tag from Tagsmart. Joseph Fine Art is the ONLY GALLERY with a direct working relationship with Bambi, we can arrange commissioned works as well offering as the most comprehensive collection of hand sprayed originals and screen printed editions available.